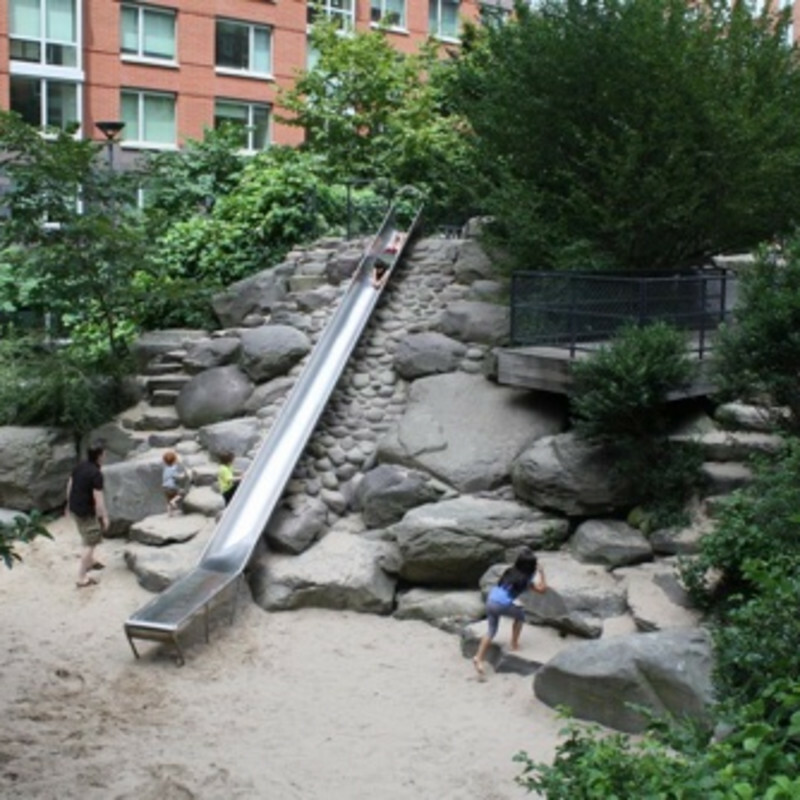 Providing a green sanctuary in the middle of New York City’s bustling Battery Park, Teardrop Park is a hidden gem within the community; one that many locals still don’t even know about. The park features natural plantings that offer a welcome retreat from the concrete jungle of the city. The play area holds a slide, sand pits and a water playground. The other half of the park is a broad lawn providing open play space for children as well as park benches, a rock seating area, and a small wetland play path. The two areas are divided by a large rock wall and connected by a short tunnel. Being in New York City, the park wouldn’t be complete without some art, and works by Ann Hamilton and Michael Mercil are on display.